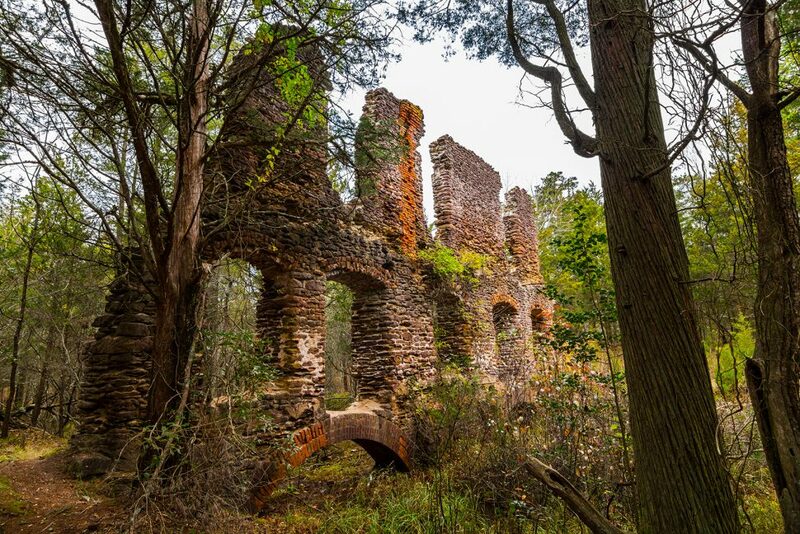 Join guide, Jeff Larson, to explore the ruins and remains of past industries of the pines and be amazed at how nature has reclaimed the forest. The Pine Barrens are a post-industrial forest. It has been said that by 1850 no trees existed between the Delaware river and the Atlantic ocean due to over harvesting and industry in the pine barrens region. While such a claim is slightly exaggerated, it is difficult to imagine that the pine wilderness was once a major industrial center. Evidence of bygone eras still lie hidden along the quiet stream beds and below the thick patches of wild huckleberry. Pinelands Adventures’ Jeff Larson is a skilled Pine Barrens guide. 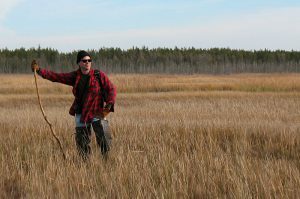 On this tour you’ll be led by Guide Jeff Larson who has been exploring the Pine Barrens for three decades. Jeff will take you on an immersive trip to learn about Piney culture and history, visit the ruins of places like Hampton Furnace, visit cranberry bogs of the past and much more. Participants will travel by bus and make several stops to explore on foot.